Donna K. Thornton-Roberts is a master facilitator, trainer and instructor of adult learners. She has been a national keynote speaker and inspirational teacher for early care and education since 1989. 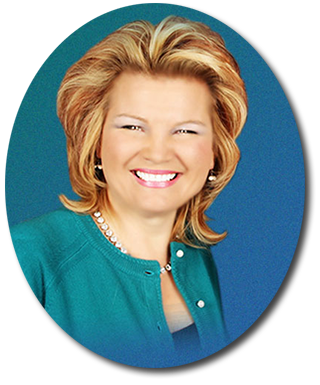 Having served as an adjunct professor at Radford (VA) University, an accreditation commissioner for the National Accreditation Commission and a contribution writer to the Association of Christian Schools International and Child Care Information Exchange, Donna delivers functional, timely and inspirational training, counseling and direction. An alumna of Bluefield (VA) College and Averett University Donna has implemented a national training program for business executives, designed a human resources administration curriculum and has conducted over 250 advanced management training seminars across the country. A firm believer in continuing education, Donna is on track to complete her Doctorate in Christian Leadership in December 2020. Over the past 42 years, Donna has been caring for families, staff and directors in the child care industry. Her influence on early care and educational programs has touched the lives of millions of children through direct service, training directors and leading national associations. Donna has personally developed over 40 programs to establish or improve child care centers. Her work with individuals, national child care chains, companies, developers and churches has provided the foundation and substance to improve child care centers. Donna’s influence, as well as her teacher and director trainings, has increased the quality of care for thousands of children across the country. Donna lives and works under the knowledge that when the skill level of people who manage children’s programs is improved, you improve the lives of the children who receive that care. Child care is embedded into our culture and is not predicted to recline but increase with more parents entering the workforce. That is why it is critical to increase the level of quality in child care centers ensuring that parents have the right program for their children and their families. Click Here for Donna’s books, articles, and periodicals. 1989: Established The Adventure Club Program, opening four sites in the Montgomery County, Virginia public school system. Child Care Information Exchange guest speaker launched nationally. 1989 – 1994: Added an additional 10 Adventure Club Program sites in the Montgomery County, Virginia public school system. Trained and consulted with child care management and teachers on a state, regional and national level. 1994: Stepped into the role of leading the nation’s only national association especially dedicated to the management level of early education. The National Association of Child Care Professionals grew from around 200 members to over 3,000 active members in 2000. 2000 – Current: Serve as consultant, speaker and coach at the national level for early care and education.